The trade dispute between the US and China, responsible for half the world’s consumption of copper, is quickly escalating and comes on top of sliding indicators of manufacturing and industrial activity in China. 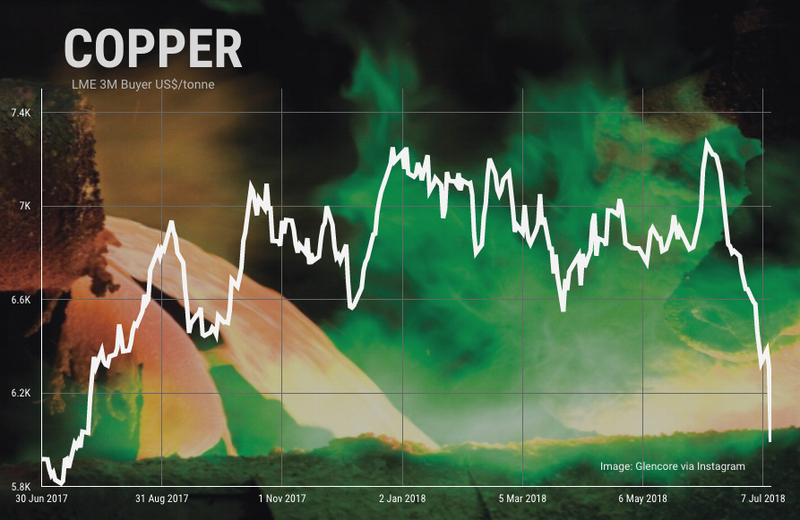 Due to its widespread use in manufacture, construction and electricity infrastructure, the copper price is often considered a gauge of broader economic activity. According to a Reuters report Beijing has said it would hit back including through “qualitative measures,” a threat that US businesses in China fear could mean anything from stepped-up inspections to delays in investment approvals and even consumer boycotts.